Sink your teeth into some pre-release mobile fun. If you're itching to get stuck into Bethesda's upcoming console title Dishonored, you can get a little glimpse of the action now by downloading a mobile spin-off title that's popped up on the App Store. The game's called Dishonored: Rat Assassin, and challenges you to clear the vermin from the streets of Dunwall, using sword slices and cross-bow shots. Sounds a bit like Fruit Ninja then, just with more pestilence. 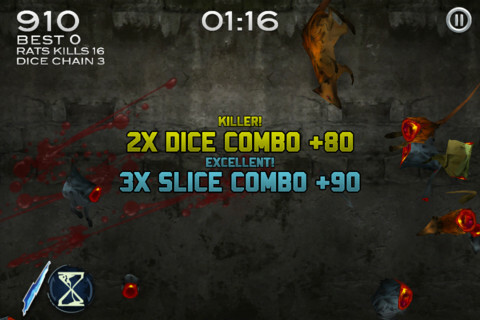 It's free to download now, and you can check out more screenshots of the game over at our Rat Assassin game page.